Robin Zander (Cheap Trick, The Robin Zander Band) – As the vocalist and guitarist of Rockford’s own Cheap Trick - as well as his own Robin Zander Band - Robin Zander has sold over twenty million records at the helm of one of power pop's most successful acts. Cheap Trick opens for the Foo Fighters on Saturday, August 29, 2015 at Wrigley Field. "I am a fan of Christmas music. But I gotta tell ya, I wrote a song for my son [Robin Taylor]. It’s a Christmas song [called 'A Merry Christmas Everyone']. He went in and recorded it and did all the tracks himself. He sang on it – he did the drums and the bass and guitars – and produced it himself. It’s excellent. This is a cool rock and roll song – in the true, English sense of the word. It’s like a real, pop Slade, this Christmas song. I think you’ll enjoy it." Steve Luongo (The Robin Zander Band) - As drummer of the Robin Zander Band, Steve Luongo recently recorded two live shows at the Arcada Theatre in St. Charles. Steve also spent time alongside John Entwistle of The Who recording and touring with the John Entwistle Band, part of a resume that also includes work with Todd Rundgren, Joe Walsh of the Eagles and more. "For me, Christmas songs just have to give you a good feeling. They don’t necessarily have to be one way or the other. They just have to represent the spirit. If we remember why we’re singing them, I like them all." Scott Lucas (Local H, Scott Lucas & The Married Men) - With a gold record already under his belt (Local H's 1996 effort As Good As Dead), Lucas is currently in the process of recording the eighth Local H studio album... though new Local H music was actually released mere days ago. December 16th marked the second installment of Local H's Awesome MixtapeScott Lucas covers series and features the alt-rock duo's take on everyone from Lorde and Daft Punk to Iggy Pop and REO Speedwagon. Lucas's side project & The Married Men performed their fifth annual "Hideout Holiday Music Hour" concert last weekend at Hideout which debuted as a webcast on the band's website on Christmas Eve. Local H caps a busy 2014 with a New Year's Eve show Wednesday at Cubby Bear. "I like Christmas music. I don’t really have a problem with it. I mean, there’s a few songs that I really hate but I think some of those songs are great – most of them I think are great... that Nat King Cole 'Merry Christmas' song is pretty great. That’s probably the best one." Kristina Cottone (Honey & the 45’s) – Celebrating the recent release of the local quintet's second album MAD, Cottone handles guitar and lead vocals in a band that covers immense musical ground, with blues, soul, funk and rock making up only a small part of the band's diverse sound. 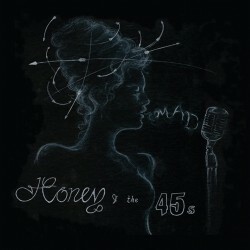 Honey & The 45's headline Lincoln Hall on Saturday, January 10, 2015. "I love Christmas music! I think it just really puts me in the mood for the season. I know a lot of people are kind of scrooges about Christmas music and they’re mad when it’s on – I’ve heard that comment several times: “Oh my gosh! Why is this on? Why is this on? !” But I just love it! I worked as a performer at Navy Pier during their 'Winter Wonderfest' a few years ago and I just totally geeked out. I think I played a fairy. But I think, honestly, that experience brought back some of the Christmas joy into my life. Because before that, I could see maybe getting – not annoyed with Christmas music – but, you know, as people do, they get tired of it or they think it gets played too early or too late in the season. But I love it. I can’t get enough of it, honestly, this year. There’s something about it. Maybe I’m just a little more romantic this year. 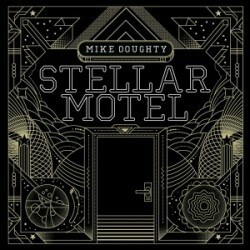 Mike Doughty - One of rock's more prolific artists, Doughty finished off 2014 with a pair of new albums: Stellar Motel (a studio album that finds him further experimenting with the sounds of dance music and hip-hop) and Live at Ken's House (a live album which enabled him to put a contemporary spin on the work of his former band Soul Coughing). As an author, Doughty released his memoir The Book of Drugs (Da Capo Press) in 2012 and is currently at work on a rock-opera based on the book of Revelation. "Well… It’s pretty general but I’ve come to the conclusion that a huge portion of the way people feel about Christmas is based on how they feel about sleigh bells playing eighth notes. I swear to God, 'ching, ching, ching, ching, ching, ching' [imitates the sound of a sleigh bell and laughs]. That is… if you love that, you love Christmas. If you hate that, you hate Christmas. And it’s a sound that I love. I did that Christmas song with Rosanne Cash, 'Holiday.' I wrote it with Dan Wilson [of Semisonic] first of all. And he and I were very clear that there were going to be sleigh bells on the song when we wrote it! But when I got in the studio, the producer was like, 'Dude, do you really want the sleigh bells?' And I was like, 'I. Want. The. Sleigh bells. Definitely. Bring on the sleigh bells! We’re not gonna put the sleigh bells in the back of the store, it’s right in the front window!'" Frank Catalano - The local, Grammy-winning jazz musician has toured with the likes of Santana and Tony Bennett and performed with artists like Miles Davis, Tito Puente, Les Claypool and Ministry. His most recent release - Love Supreme Collective EP- is an homage to John Coltrane that features, alongside his own sax, Jimmy Chamberlin (Smashing Pumpkins) on drums, Percy Jones (Brand X) on bass, Chris Poland (Megadeth) on guitar and Adam Benjamin (Kneebody) on keyboards. Riding high on the success of that release - which debuted at number one on the iTunes jazz sales chart - Catalano performs with his quartet on New Year's Eve at High Hat Club. "I love Christmas Music. As much as I like Christmas, the reasons why I like Christmas songs have very little to do with Christmas: It's because the melodies are usually simple and catchy and the chord changes are usually very pretty and fun for me to improvise on. My very favorite Christmas song is 'Have Yourself A Merry Little Christmas.' Saxman Dexter Gordon's version rates A++ in my book. I am a sucker for all the Vince Guaraldi Christmas stuff and I really love playing "O Christmas Tree" in particular. [And I] don't really want to admit it but... Mariah Carey's 'All I Want For Christmas Is You' is pretty badass." Eddie Spaghetti (Supersuckers) - For over twenty-five years, Supersuckers have delivered straight forward rock and roll out of Seattle (by way of Arizona) based upon what Eddie Spaghetti describes as "the holy trilogy of rock and roll:" Motörhead, AC/DC and the Ramones. 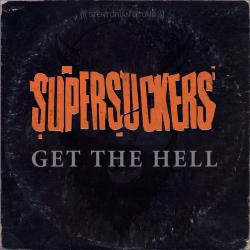 The Supersuckers' newest album Get the Hell was recorded at Willie Nelson's Austin, Texas studio, produced by Blag Dahlia of Chicago based punks Dwarves and was released earlier this year. "We recorded a Christmas song – a couple of them actually – One as The Junkyard Dogs and one as The Supersuckers. So I do have an affinity for it… But for the most part it’s pretty hokey music. You just gotta show the cynical side of it. Both of our Christmas songs are… One of them is quite anti-Christian and the other one is just anti-Christmas - or it’s all about the material aspect of Christmas. It doesn’t lament the material aspect of Christmas, it celebrates it. It’s got a nice little negative twist on it! I think, for me, that’s what makes a great Christmas song – that it can be interpreted either way. Tom Holland (James Cotton Band, Tom Holland & The Shufflekings) - As guitar player for legendary blues harmonica player James Cotton, Holland has performed on two consecutive Grammy nominated albums: Giant in 2010 and Cotton Mouth Man in 2013. 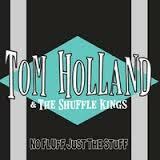 Continuing to tour with his own band The Shufflekings, you can catch Tom Holland in support of his most recent release No Fluff, Just The Stuff (one which features guest appearances from former Muddy Waters guitarist John Primer as well as Buddy Guy's keyboard player Marty Sammon) on Tuesday, December 30th at Shaw's Crabhouse (downtown) and on Friday, January 9, 2015 at Harlem Avenue Lounge in Berwyn. (In the interest of full disclosure - and good, old fashioned Chicago nepotism - Tom Holland is my cousin). "I'm generally a fan of Christmas music. The last few years of radio stations starting to play Christmas music twenty-four hours a day starting before Thanksgiving has kind of ruined it for me though... but I [still] have my go to Christmas songs, so I can always listen to them and get in the spirit. [They include] anything Christmas by Johnny Mathis! Rufus Thomas - 'I'll be Your Santa.' Albert King's 'Santa Claus Wants Some Lovin'.' Eddie C. Campbell - 'Santa's Messin' With the Kid.' There's, I'm sure, a lot that I'm forgetting but [those are] usually my go-to songs. Its 'feel good' music. I don't know what it is but Christmas music always puts a smile on my face. No matter what cards you've been dealt in life, Christmas songs take away all the negative in your life for a few minutes."